Incentria has closed down due to health issues of its owner and poor revenues, as announced on eMoneyspace. As they claim, the site was operating for quite some time in losses, so they made a decision to close it down. Announcement about the closure was suppressed, so many members that didn’t request their earnings before the closure will not receive payments. Incentria is refunding only purchases made few days prior to the closure. As it looks now Incentria is not going to refund everyone and they will not pay out non-requested earnings. We don’t like that cause this is not the proper way to close a PTC site. Incentria, from now on, will be moved to the Failed sites list. There was a time when Incentria was online and paying. The lines written in this article below are from that time. We will not remove this article and leave the information to serve it’s purpose, but will no longer be updating this article. Incentria is a PTC advertising program that was launched in February 2008. Incentria has been online and paying for over 6 years. Using this site, you can earn extra money from home by viewing advertisements, completing signup offers, promoting the site or by referring others as your referrals and earn commissions from your downline activity. This PTC program is placed by us among the side of best, elite ptc sites which are reliable cause they pay their members. Incentria has proven to be a stable site, running on a fully customized script and it is managed by an experienced and dedicated owner. We have placed this site on our Established PTC Sites list. Well Managed Site – The site has been online for over 5 years. Most PTC sites do not last even for a few months. For a PTC site, it is very important how long it has been online and paying. Many sites will pay at the beginning, then stop to pay after the first few months. Obviously, Incentria is well managed Get-Paid-To program. Paying on time – Incentria is paying its members within 7 days, usually within 24-48 hours. Free Worldwide Service – No restrictions, individuals from all over the world are allowed to join Incentria and earn with it. Unlimited Affiliate Program – There is no limit to the number of people you can refer to the site. Which is excellent opportunity for members who can build a big downline. You will earn commissions from your referrals ptc earnings and signup offers earnings. Upgraded members will earn purchase commissions as well. Low Minimim & Fixed Payout – $1.00 is the minimum cashout and does not increase after each cahsout. Great option, there is no stepped cashout system or high minimum payout requirements. Forum – They have a forum. In our opinion, a PTC site should have a forum. The forum is a place where members and staff can communicate with each other. Members can post their success stories or doubts, post payment proofs, share the experience that they had with the site, ask for support and stay informed about the recent changes made to the site. Usually, on the forum you can notice the first signs if something is not as it should be. If members complain about non-payments or payment delays, then most likely the site is experiencing problems. Earning Rates – For some members it may take long time to earn sufficient amount for payout by clicking only PTC ads, however there are a lot of sign up offers available and do not forget that there is no limit for direct referrals. Refer as many as you can to boost your earnings. 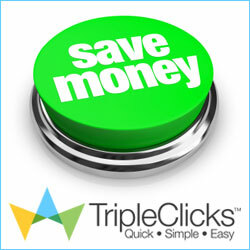 Pay per Referral Click: Free Members – 10% of referral PTC earnings and 10% of referral Signup Offer earnings. Upgraded Members – 100% referral PTC earnings, 20% of referral’s Signup Offer earnings, 5% from referrals purchases. PTSU Offers: You can earn from $0.10-$0.50 by signing up on other sites. Every offer takes 4 days or less to complete. Traffic Exchange Program – You can surf other people’s links and they surf yours, each link you view gets you 0.8 Traffic Exchange credit, you can create your own traffic exchange ad, fund it from the credit you earned and other members will view it. 1 Traffic Exchange credit equals one visitor to your website. Paid to Promote – You will earn $0.0001 for every unique and valid hit to your referral link. Upgraded members will earn $0.0002. December 25, 2013 – Our second payment from Incentria. August 25, 2013 – Our fist payment from Incentria. Incentria has proven to be a stable and paying site. Incentria is providing it’s services for more than 6 years without any serious issues. In our opinion, it is a safe site to use and earn with. One of the few established programs in the PTC industry. Note that this is not get rich quick program, but with the unlimited referral system, depending on how well you are able to recruit new members, your downline can substantially improve your earning potential. Refer as much as you can to boost your earnings and we might just help you with that in our article: “Build your downline by requesting referrals “.